These are poems that have been submitted to me, and I hope you are touched by them as much as I have been. You can truly feel the pain and compassion that each writter has for the loss of their fallen hero. Thanks to all of the writters who have made this section possible. Thanks also go to those who provided pictures for this site. All the pictures provided by friends have been credited below each picture . Also some of the poems that were on my previous site had comments about them posted. I have provided those comments at the end of these poems. God bless you all! I thought I'd share this unique photo with ya! I took this pic at Bristol qualifying, the great thing about this pic is that when Harvick was getting ready to go, his car was the ONLY one that got any glare from the sun. It was sunny all day, but this was the only picture that turned out like this!! I took at least 15 other pics, from the same place. 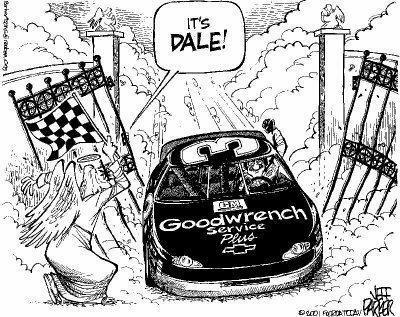 Just thought I'd share the pic with ya, looked to me like Dale was watching!! (Taken in Spring, 3/01) Picture owned and provided by PEPSIMAN24. But up there Dale was smiling, and had a twinkle in his eye. 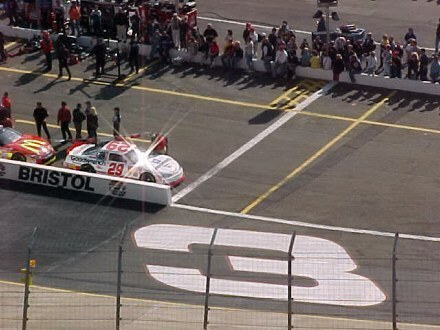 This was his third race, Dale said, "Guess it is time"
"For the KID driving my car, to be the first across the line"
"I liked what I saw, and knew he'd do just fine"
"He won this one for me, THE KID driving 29"
"This is what you needed, to know that I'm still here"
"Richard and Chocolate crying,but this time joyful tears"
"Kevin, I had to tell ya, your wife's the prettiest thing"
"You have all my blessings, and all the joy life brings"
"I didn't make it to your wedding, but a gift I send the same"
"Thought this might be fitting,... a trip to Victory Lane"
"Like a replay of my Daytona, just like in a dream"
"Driving down pit row, and greeted by every team"
'I want you to know, I'm proud of what you do"
"Doing double duty in the 29 and 2"
"I was up here cheering, like seeing time rewind"
"Almost like a replay, of me and Bobby at the line"
"You can bet that I was grinning,as I watched you go by"
"Doing Alan's Victory Lap, with three finger waving high"
"How ya doin' buddy? I knew I'd see ya here"
As he reved up his engine, and threw it into gear. "Been waiting for ya pal, but I'd just as soon you'd foller"
Waved as he passed him,and said "how the heck you been?" "Great to see ya Dale,I've missed racing you!" "Say hi to Kenny, he's there in 42"
"Wanna see if we can trade some paint? 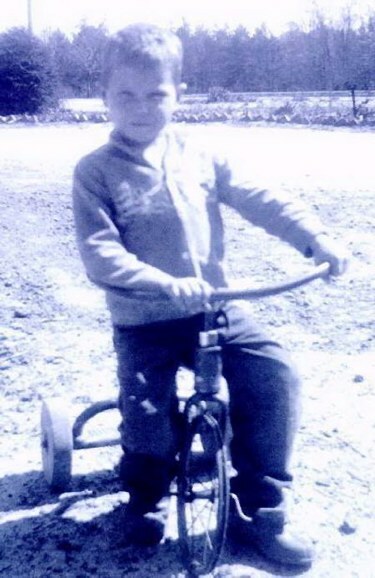 I'll race ya the next mile"
"It's cool to know your dad and you both race the 45"
"When we're done let's show them, your Polish Victory Lap"
"Man, this is the best race, I have ever won"
"Now I know how Junior felt, but this time I'm the son"
I know my leaving you, has causes you all to grieve. The only pain I felt, was that I made you cry. "When you hear the thunder and ask why it's so loud. 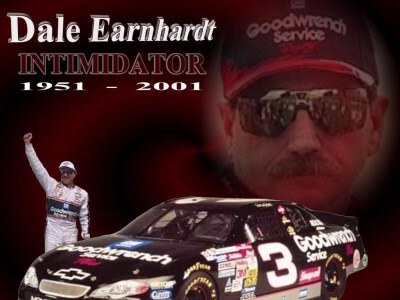 It's because I am so proud of you, that's me cheering loud"
Earnhardt's death has shocked us all, the tears I cry will always fall. The sadness I feel runs so deep, my heart is broken, again I weep. For 20 years he was my source of pride, I never thought Sunday would be his last ride. He was the man many feared; again I must wipe away the tears. For 20 years I watched him run, and now I must support his son. Sundays will never be the same, the champ is gone, but not his fame. 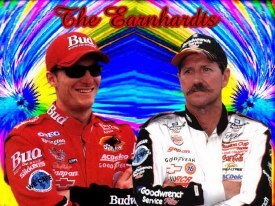 Race day will never be the same, how I love to say the Earnhardt name. I want you to know I miss you so, as a person you helped me grow. 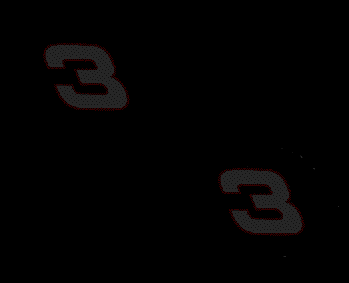 As the tears again are flowing free, my prayers are with the number 3. I can't get my last lap back. Don't cry for me boys. I died doing what I enjoyed. now. You can bet I am looking down. Smiling at you guys. As you go around and round. I loved my family I am holding them now in an angelic embrace. Hold your head up Jr. I won the race! He was a great hero to both those young and old, I'd sit around and listen to the stories that were told. Bout' fights and feuds and wrecks and wins he had back in the day, Through it all I never thought that it would end this way. 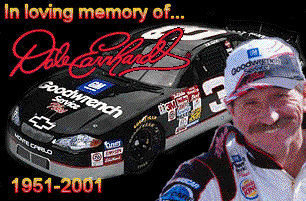 I got into racing, when Dale was in his prime The man in black, the hero, was a legend in his time. I looked up to him, like many others did The impact he has made on me - simply can't be hid. 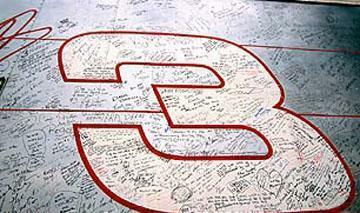 I never thought a sport would mean so much to me, but with Dale in the drivers seat it came so easily. I saw a quiet side, a gentle kind of way, An awnrey kind of smile, that in my heart will stay. There were other times in which his temper flared. But even in those times, you could still see that he cared. My husband introduced me to a man that changed my life, A Man who honored God, his family and his wife. I saw in him a man that you may not have seen, There was SO much more about him then just that Black Machine. Some people just don't get it, some people make remarks, They never knew the man that will live inside my heart. I am glad I had the chance-to see inside this man I am very proud to say that I am still a fan. He's in a better place now, with his Daddy and his friends. It's up to us to see now that his legend never ends.